Wacktrap Maps put things in perspective. You'll be selecting from two map types, from the top navigation bar. The default Wack Maps displays location of wacks, while Member Wacks tells you where Wacktrap members are located throughout the world. They may sound similar, but these two maps display very different stuff. Each is constantly updated so you're gettin' the most current stats. When creating a wack, members have the option to physical location, or address, for any wack. As those addresses are entered, that info is plugged into Wack Maps. A member may be located in one spot, but that wack may occur across the nation-or even across the globe. Member Wacks shows where Wacktrap members are located. It provides a lay of the land, showin' where members like you are clustered. Wack Maps shows you where wacks are happenin'. When you wanna get specific, Wack Maps will take you to those hot spots. 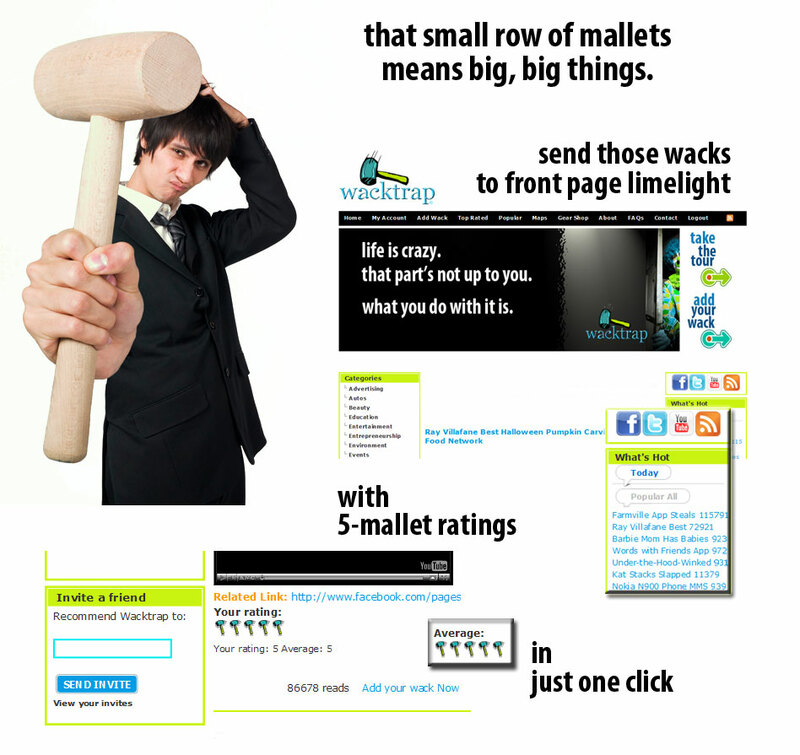 Check out Wack Maps now, to find out where those wacks are hoppin'.